Tachyon Chambers & Tachyon Technology: Tachyons are subatomic particles that travel faster than light. They are particles that infuse physical matter with spiritual light. The process of collecting Tachyon Particles is a technological process that infuses physical matter with an increased quantity of tachyons and permanently changes quantum properties of atomic nuclei which compose that matter. Although the chemical composition is not altered, the change occurs on a subatomic level. Because it decreases entropy of physical matter it may slow the aging process and strengthen the immune system. Anxiety; ADD; ADHD; Autism; Circulation; Diabetes; Carpal Tunnel; body/back pains; difficult sleeping quality sleep, and many other body and health ailments. Tachyon Spiritual Benefits: Tachyon profoundly promotes spiritual development and in many cases have quickly opened up spiritual channels (3rd Eye). Tachyon heightens spiritual and psychic awareness and helps to gently access all emotional memory blocks for mental and emotional release. Tachyon deepens the meditation experience. Tachyon assists in developing greater visual and audio abilities psychically. Tachyon assists in out of body experiences, in a positive, pleasant manner. The Tachyon consciousness works in perfect alignment with our customers’ own particular mission and accelerates a person’s ability to align with their purpose. Tachyon Manifestation Benefits: Tachyon Living Products amplify our customers’ desired goals and intentions. Tachyon works beautifully and harmoniously by amplifying crystals and gemstones natural attributes as well as those that have been imbued. 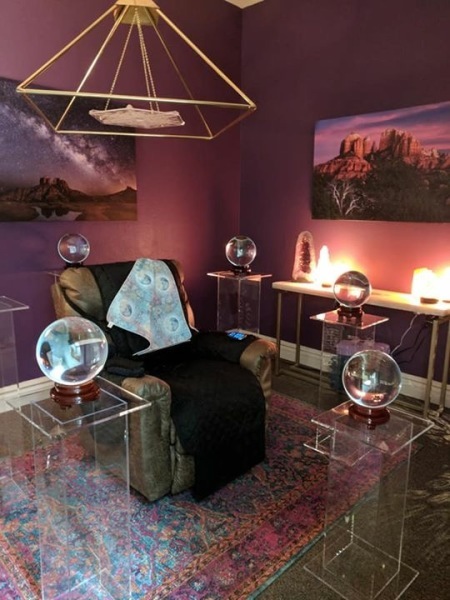 A customer can use Tachyon during healing sessions to amplify the results, to clear all resistance and to amplify the energy of the healing being used. Our customers can use Tachyon to amplify and 'announce' their goals.